You are here: Home / Product Reviews / The Rev’It! Horizon 2 Pants! The Rev’It! Horizon 2 Pants! Hey, everyone! I’ve done a blog on the jacket, so it’s only fair that I complete the kit and take a look at the pants that go with the critically acclaimed Horizon 2 Jacket- The Rev It Horizon 2 Motorcycle Trousers! This way there’s a full kit for you all to consider, especially the commuters and tour bikers that’re looking for gear that’ll last and is versatile through as many weathers and seasons as possible. Just like the jacket, the trousers are made from Rev It’s Power Shell fabric. It’s a really strong, light and durable material that is sort of like Rev It’s version of Cordura. 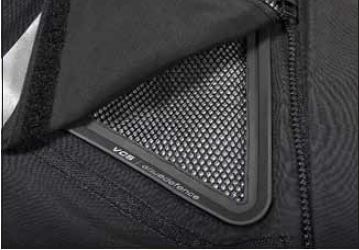 Except they took Cordura’s best qualities- it’s toughness, abrasion resistance, high melting point and put all that tech into a fabric perfect for motorcycle gear. 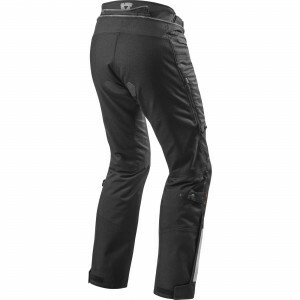 Inside the trousers are two additional layers of material that help you to combat different riding conditions. There’s a removable thermal liner to keep you warm in the colder seasons and you can even take it out when things are getting a bit hot. If you’ve seen the Rev It Horizon 2 Jacket then you can tell these pants are the ones that accompany it just by the two circular clips on the thighs. For me these are part of the whole kits largest selling point- It’s ventilation. 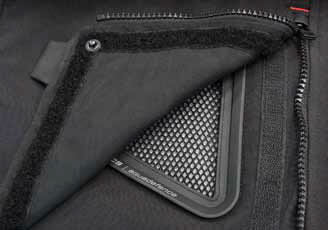 Pull up the zips and clip the panels back and it exposes large mesh vent panels that are great for summer riding. You’d think a kit that’s perfect for the colder and wetter seasons would be more useless in the summer and be way too hot. But these large vents pretty much solve that problem by shunting as much air through the kit as they can and it works. Best used in summer with the removable thermal liner taken out for maximum cooling power. For impact protection the Horizon 2 Trousers have SEEFLEX level 2 armour in the knees which is some really good stuff. And there’s also the SEESOFT level 1 armour in the hips which was really cool of them to include since most lesser brands just throw in a bit of foam like a consolation prize. Now the for the bit that stings- the price tag. 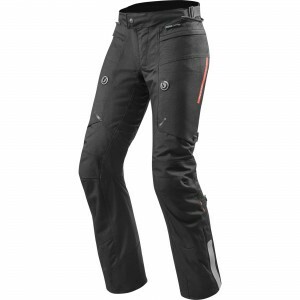 At £259.99 these pants are not cheap but they are absolutely worth the investment. As the proud owner of some of my own Rev It gear I speak from experience when I say it’s superb quality, comfy and they last. The Horizon 2 gear is so versatile that needing different jackets for different weathers or occasions would be a thing of the past.